Available only to qualified customers through Mercedes-Benz Financial Services at participating dealers through April 30, 2019. Not everyone will qualify. Advertised 36 months lease payment based on MSRP of $59,895 less the suggested dealer contribution of $769 resulting in a total gross capitalized cost of $59,126. Dealer contribution may vary and could affect your actual lease payment. Includes Destination Charge, Premium 1 Package, Ventilated Front Seats and Surround View System. Excludes title, taxes, registration, license fees, insurance, dealer prep and additional options. Total monthly payments equal $23,724. Cash due at signing includes $3,299 capitalized cost reduction, $795 acquisition fee and first month’s lease payment of $659. Your acquisition fee may vary by dealership. The acquisition fee charged by the dealer may affect the total cash due at signing. No security deposit required. Total payments equal $27,818. At lease end, lessee pays for any amounts due under the lease, any official fees and taxes related to the scheduled termination, excess wear and use plus $0.25/mile over 30,000 miles, and $595 vehicle turn-in fee. Purchase option at lease end for $35,937 plus taxes (and any other fees and charges due under the applicable lease agreement) in example shown. Subject to credit approval. Specific vehicles are subject to availability and may have to be ordered. See participating dealer for details. Not valid in Puerto Rico. Please always wear your seat belt, drive safely and obey speed limits. Available only to qualified customers through Mercedes-Benz Financial Services at participating dealers through April 30, 2019. Not everyone will qualify. Advertised 36 months lease payment based on MSRP of $43,445 less the suggested dealer contribution resulting in a total gross capitalized cost of $41,846. Dealer contribution may vary and could affect your actual lease payment. Includes Destination Charge and Premium 1 Package. Excludes title, taxes, registration, license fees, insurance, dealer prep and additional options. Total monthly payments equal $15,084. Cash due at signing includes $2,999 capitalized cost reduction, $795 acquisition fee and first month’s lease payment of $419. No security deposit required. Total payments equal $18,878. At lease end, lessee pays for any amounts due under the lease, any official fees and taxes related to the scheduled termination, excess wear and use plus $0.25/mile over 30,000 miles, and $595 vehicle turn-in fee. Purchase option at lease end for $25,198 plus taxes (and any other fees and charges due under the applicable lease agreement) in example shown. Subject to credit approval. Specific vehicles are subject to availability and may have to be ordered. See participating dealer for details. Please always wear your seat belt, drive safely and obey speed limits. Available only to qualified customers through Mercedes-Benz Financial Services at participating dealers through April 30, 2019. Not everyone will qualify. Advertised 36 months lease payment based on MSRP of $54,495 less the suggested dealer contribution resulting in a total gross capitalized cost of $52,496. Dealer contribution may vary and could affect your actual lease payment. Includes Destination Charge. Excludes title, taxes, registration, license fees, insurance, dealer prep and additional options. Total monthly payments equal $20,844. Cash due at signing includes $3,509 capitalized cost reduction, $795 acquisition fee and first month’s lease payment of $579. No security deposit required. Total payments equal $25,148. At lease end, lessee pays for any amounts due under the lease, any official fees and taxes related to the scheduled termination, excess wear and use plus $0.25/mile over 30,000 miles, and $595 vehicle turn-in fee. Purchase option at lease end for $32,152 plus taxes (and any other fees and charges due under the applicable lease agreement) in example shown. Subject to credit approval. Specific vehicles are subject to availability and may have to be ordered. See participating dealer for details. Please always wear your seat belt, drive safely and obey speed limits. Available only to qualified customers through Mercedes-Benz Financial Services at participating dealers through April 30, 2019. Not everyone will qualify. Advertised 36 months lease payment based on MSRP of $42,945 less the suggested dealer contribution resulting in a total gross capitalized cost of $40,846. Dealer contribution may vary and could affect your actual lease payment. Includes Destination Charge, Premium 1 Package and Blind Spot Assist. Excludes title, taxes, registration, license fees, insurance, dealer prep and additional options. Total monthly payments equal $16,524. Cash due at signing includes $2,999 capitalized cost reduction, $795 acquisition fee and first month’s lease payment of $459. Your acquisition fee may vary by dealership. The acquisition fee charged by the dealer may affect the total cash due at signing. No security deposit required. Total payments equal $20,318. At lease end, lessee pays for any amounts due under the lease, any official fees and taxes related to the scheduled termination, excess wear and use plus $0.25/mile over 30,000 miles, and $595 vehicle turn-in fee. Purchase option at lease end for $24,049 plus taxes (and any other fees and charges due under the applicable lease agreement) in example shown. Subject to credit approval. Specific vehicles are subject to availability and may have to be ordered. See participating dealer for details. Please always wear your seat belt, drive safely and obey speed limits. Available only to qualified customers through Mercedes-Benz Financial Services at participating dealers through April 30, 2019. Not everyone will qualify. Advertised 36 months lease payment based on MSRP of $97,245 less the suggested dealer contribution resulting in a total gross capitalized cost of $94,346. Dealer contribution may vary and could affect your actual lease payment. Includes Destination Charge and Premium 1 Package. Excludes title, taxes, registration, license fees, insurance, dealer prep and additional options. Total monthly payments equal $41,364. Cash due at signing includes $5,789 capitalized cost reduction, $795 acquisition fee and first month’s lease payment of $1,149. Your acquisition fee may vary by dealership. The acquisition fee charged by the dealer may affect the total cash due at signing. No security deposit required. Total payments equal $47,948. At lease end, lessee pays for any amounts due under the lease, any official fees and taxes related to the scheduled termination, excess wear and use plus $0.25/mile over 30,000 miles, and $595 vehicle turn-in fee. Purchase option at lease end for $51,540 plus taxes (and any other fees and charges due under the applicable lease agreement) in example shown. Subject to credit approval. Specific vehicles are subject to availability and may have to be ordered. See participating dealer for details. Please always wear your seat belt, drive safely and obey speed limits. Mercedes-Benz has serviced Encino and the surrounding neighborhoods since 1964. In 2012, we expanded our growing facility. Stop by, see the place and we’ll gladly share a cup of coffee, tea or mocha. We have a boutique full of gift ideas and a showroom full of the newest sedans, coupes, cabriolets, SUVs and super cars from Mercedes-Benz. 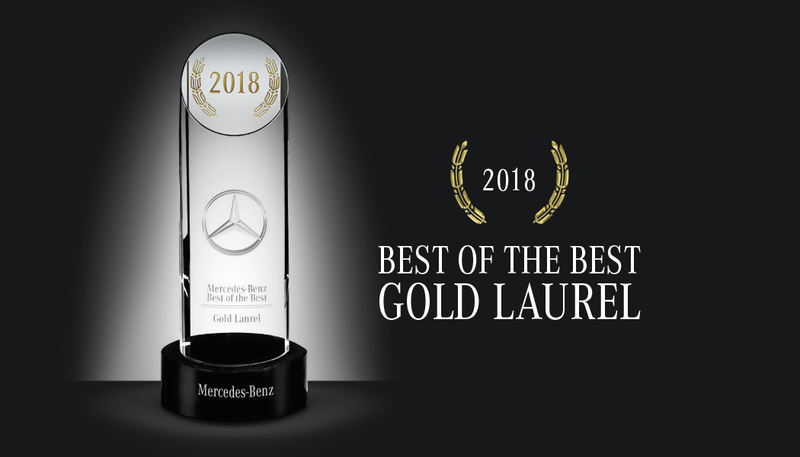 For those coming from other Los Angeles neighborhoods, you’ll find Mercedes-Benz of Encino conveniently located along the southern edge of the San Fernando Valley on Ventura Blvd – close to the intersection of the Ventura Freeway (US 101) and the San Diego Freeway (I-405). Regardless of where you work and live in the greater Los Angeles metropolitan area, we are conveniently located for you to stop in to see our huge selection of new and pre-owned Mercedes-Benz vehicles.